Below are our reviews of tennis betting systems and tennis tipsters. We will record the results exactly as they are given out, with nothing fudged or missing, just the honest, unbiased truth. Want to get the best tennis tips? Well check out the reviews below. Tennis has grown in recent years to become one of the most gambled-on sports in the world. A top tennis match on Betfair will regularly have multi-millions of pounds bet on it, making it one of the most liquid markets on the exchanges. With tennis being in the midst of a golden era with the “Big Four” of Roger Federer, Rafael Nadal, Novak Djokovic and Andy Murray dominating the game, there is huge enthusiasm for tennis betting around the world. The beautiful simplicity of the game, with only two potential outcomes, plus its global popularity make it an attractive sport to wager on for many punters. There are a great variety of markets to bet on in tennis in addition to the main match markets, including set betting, who will serve the most aces, number of games and you can even bet now on who will the next game. The bookmakers’ margins tend to be much smaller in tennis when compared to other sports such as horse racing for example, with matches often having a margin of only 1-2% in the bookies’ favour, as opposed to the 10-15%+ you often see in horse races. This means value for punters and offers an opportunity to make profits from the game. With a range of markets available, low bookies’ over-rounds and great liquidity on the exchanges, it should be more than possible to make a profit from tennis betting. But are there any systems out there that actually win? Finding out an answer to that question is our goal here at Honest Betting Reviews. We seek out tennis betting systems and tennis tipsters from across the internet and subject them to rigorous three month trials here on our website. 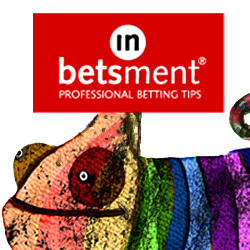 Each tip is recorded exactly as it is given out by the tipster or system. Then we look at all aspects of the system, from strike rate to return on investment, from the number of tips per day to the cost – and most importantly, the profit/loss figures and growth in the betting bank. Then we give you our final recommendation on whether the system is worth following or not. But even when our reviews finish, that is not the end for us. We continue to track the results of all the systems we recommend, to make sure that they still make money in the long run. We always love to hear from visitors, so if you have come across any tennis betting systems or tipster you would like us to review, or have any comments on the products we have reviewed, please let us know. Have you had a good experience following a tennis tipster – or bad? It would be great to hear from you so we can share your experience with other members. So please drop us a line at info@honestbettingreviews.com and a member of our friendly team will endeavour to get back to you as soon as possible!